Getting to the scene of a pollution incident to collect evidence is vital in our work to help protect and rescue waterlife. One of our longstanding volunteers, Tracey Blunn, would regularly walk along canals with a jam jar, collecting wastefalls from factories so she could confront the polluters with their own pollution. But nowadays we take a more research-based approach to see how we can lessen and prevent waste escaping into water courses. 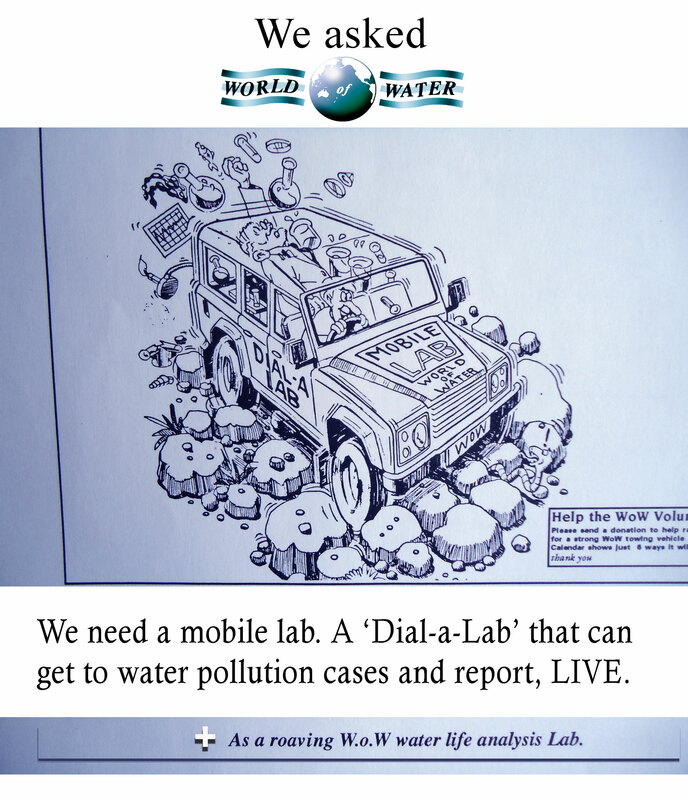 We wish for a mobile laboratory so we can test for many pollutants in the ‘field’ and hopefully bring about a speedier stop to any pollution damage. Please share this wish of ours so we can spread the word, highlight the problems and support the solutions.